An update on the original Gola Classics Coaster is Coaster Print. 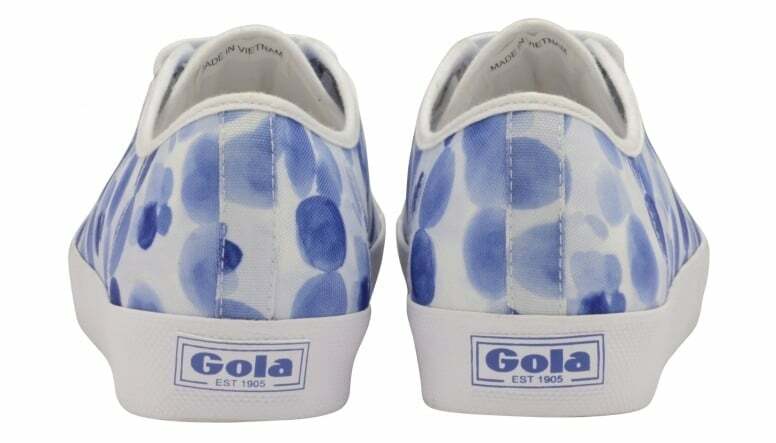 Coaster was first seen in Gola’s 1976 catalogue, where it was described as a superior quality, canvas, sports and leisure shoe. 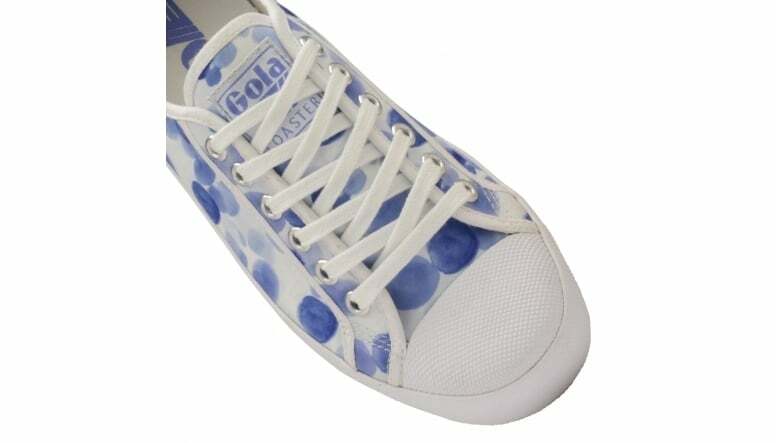 This retro ladies’ plimsoll takes inspiration from British weather hence the stylish rain droplet effect print.